Lois Lane is about to die. After a damaging expose on Deathstroke by Lois Lane, the ace reporter is number one on his hit list. Lois is suspicious as Slade was cooperative during their interview, and they seemed to share a mutual respect for each other. Superman however steps in once more and saves the day much to Lois' annoyance but things aren't what they seem as Slade quickly loses interest in Lois and takes Superman on in combat. 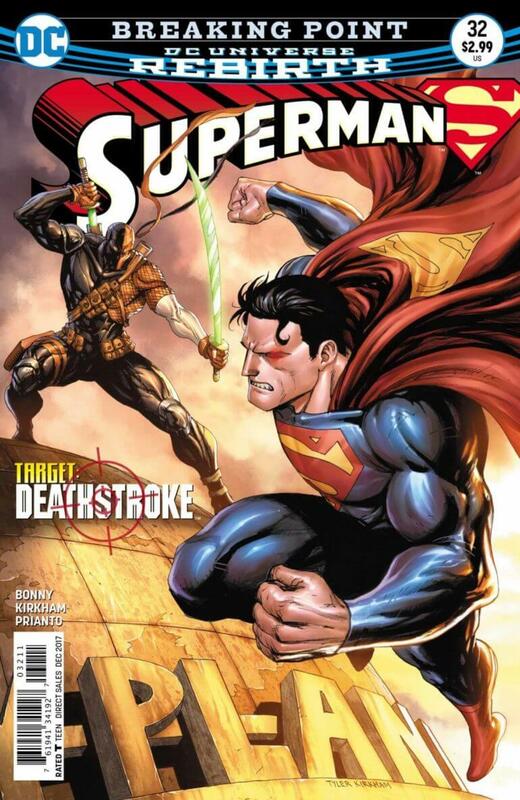 As the attacks heat up, Deathstroke reveals to Superman that he knows the Man of Steel loves Lois and the contract was a ruse. This shocks and perplexes the Kents as they wonder who could possibly have been behind the attack and why? 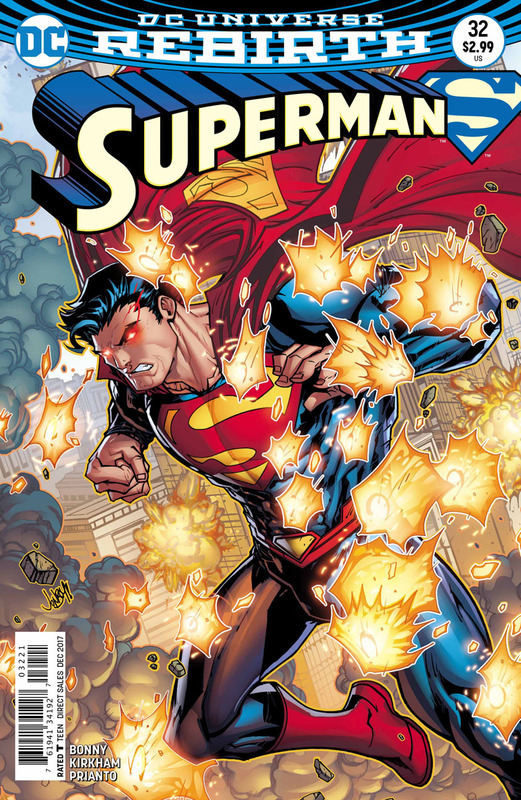 Story - 5: This was an emotionally exhausting issue, perhaps the most emotionally taxing Superman storyline this year. This is one of those stories thrown around in conventions and comic book stores on a regular basis. It is not, however, a story that ever comes to fruition and then in a change to listings this storyline appeared out of the blue. James Bonny has taken some big risks especially amidst stories such as "Oz Effect" and "Doomsday Clock". He has made Lois a focal point and pushed Superman beyond his comfort zone, along with the reader - something many writers especially during the New 52 misstep, struggled with. The twist at the end knocked me for six. I didn't expect the mastermind to be who it was. Never in a million years, yet it makes perfect sense. Art - 5: The action translates superbly to the art and each page seems to increase the threat. I'm not usually a fan of Superman issues that are just one prolonged fight scene, so to have the narrative that Clark would have to make a decision that would change the character forever, emotionally was a breath of fresh air. I honestly didn't know where Kirkham and Bonny would go with this page after page. Cover Art - 4: I love the style. I love the palette. The composition is off for me and that is disappointing as the interior is a home run. I think I would have preferred a fight on the cover. I can't tell what Superman is in the process of doing. Who is he chasing after while Deathstroke is waiting for him? Variant Cover Art - 5: Really like this cover. It may not be as iconic as last issue's cover by Meyers but it definitely translates the action inside perfectly. Very powerful and has more impact, in my opinion, than the main cover.